Professional-grade cut quality. Superior comfort and value. The Quest S-Series truly goes the extra mile, providing all the amenities of the E-Series plus even more commercial-grade features. 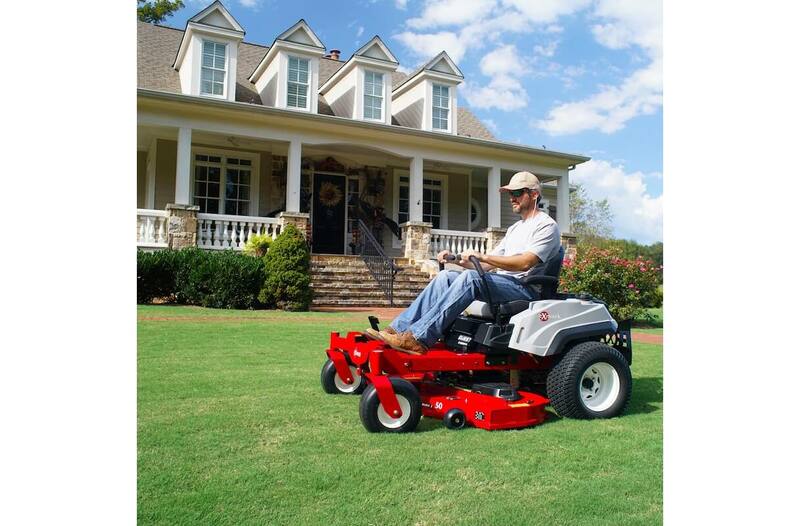 Like the ultra-smooth serviceable ZT2800 hydro drive system. Or the Series 2 fabricated deck. It's heavy-duty 10-gauge steel and welded wear strip gives you a great cutting machine that will last. Available deck sizes are 50 and 60 inches. 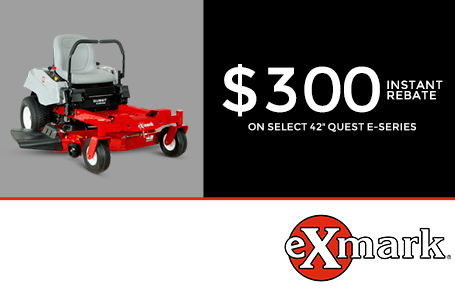 So, if you're looking for the ultimate commercial-grade residential zero-turn rider, look no further than the Quest S-Series, from Exmark. 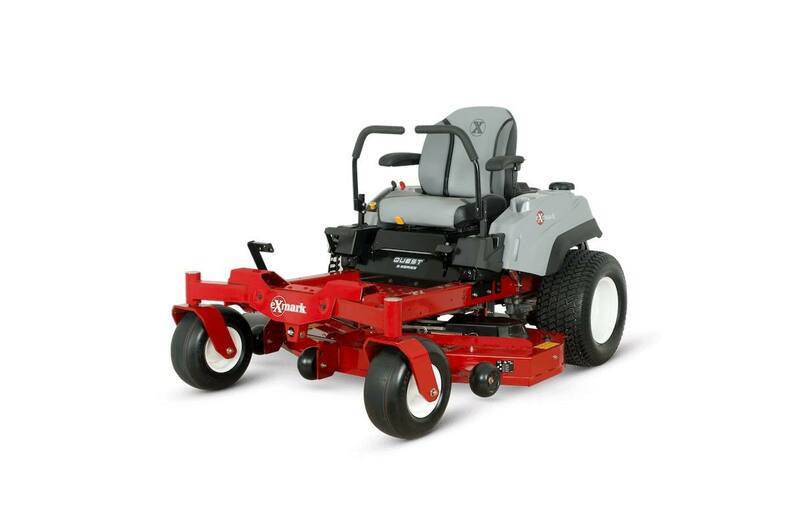 New Styling, Same Comfort: The redesigned Quest mower has the commercial Exmark styling and provides a premium, ergonomic seat system that delivers a smooth, comfortable ride, even over uneven terrain. Welded and Fabricated Deck: Our deck system offers added strength and commercial durability. Engine Protection: Standard, rear engine guard provides increased protection of critical engine components. The S-Series engine guard is enhanced for extra engine protection. 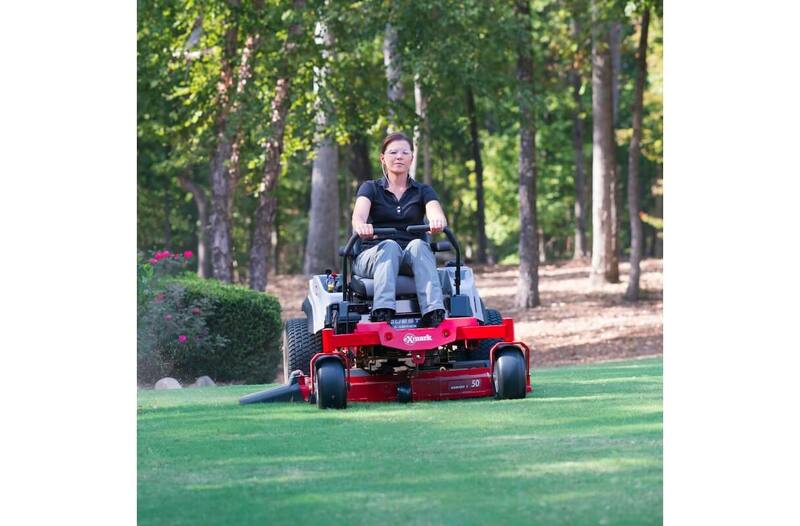 Fuel Tank Capacity: A single, 2.9-gallon tank with one fill location keeps you mowing longer with fewer fill-ups. Hitch Kit: Standard feature on S-Series. Provides mounting access to pull a cart or other accessories. Automatic Braking System: For added safety, whenever the Quest's controls are positioned outward, its parking brake is applied automatically. Exmark Engines: Built precisely to our specifications allowing us to control engine quality from start to finish. Super-quick and easy oil drain system, and an advanced air intake system specially designed to decrease dirt ingestion and increase performance. Blade Spindles: No maintenance, sealed and non-greasable spindles; 5.50"-diameter cutter housing with 0.67"-diameter spindle shaft. Steering Control: Hydraulically dampened twin levers, adjustable both fore and aft. Levers are also adjustable to 2 height positions. Parking Brake: Lever-actuated pawl brake. Seat: Commercial Grade High Back contoured foam padded with armrests. Hinged mounting, spring suspension. Adjustment: Fore and aft from Operators' Position. Electrical: 12-volt battery with 15-amp alternator. Fuel Capacity: High-capacity, 2.9-gallon (11.0-L), single fuel tank with single fill location. Drive Description: Two Hydro Gear ZT2800 hydrostatic transmission with charge pumps, no hoses, integrated cooling fans, spin-on filter and heavy-duty components. Speed: Infinitely variable speed selection from 0-7 mph (11.3 km/h) forward. 0-3.4 mph (5.5 km/h) reverse. Deck Lift: Standard; lever lift. Foot-assist lifts the deck to maneuver around obstacles. Safety Package: Operator Presence Controls (OPC) and drive system interlock. 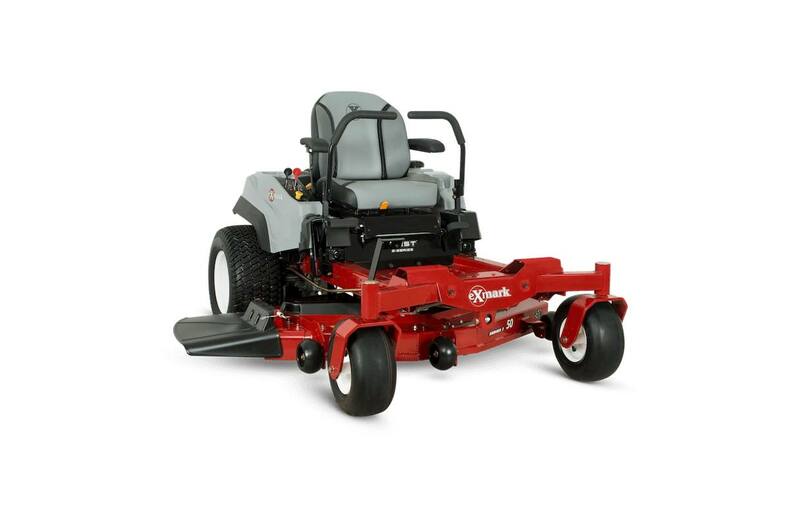 Width / Cutting Deck: 50"
Deck Style Description: Exmark Series-2 fabricated and welded steel deck. Side discharge standard with the option to bag or mulch. Deck Construction: 10-gauge top that is formed and welded, 12-gauge side skirt and 7-gauge welded bumper. Cutting Heights: 1.5" (3.8 cm) to 4.5" (11.4 cm) in 0.5" (1.3 cm) increments, adjustable from operator seat with standard foot operated assist.